Russia and Japan are preparing memorandums of mutual assistance in the field of higher education and of cooperation on joint scientific and technological projects to be signed at the Third Eastern Economic Forum, the press service of Russian Deputy Prime Minister Olga Golodets said Monday. MOSCOW (Sputnik) — The parties also discussed the development of cultural ties, cooperation in such areas as education and joint research in the field of creating portable systems for diagnosing infectious diseases, the press service added. 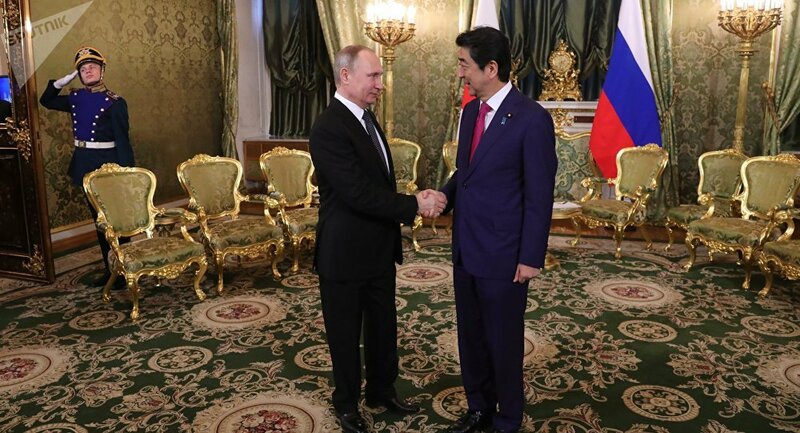 "The issues raised at the meeting were the prospects for concluding memorandums between the Russian Ministry of Education and Science and the Japanese Ministry of Education, Culture, Sports, Science and Technology on mutual assistance in the field of higher education, as well as cooperation on joint Russian-Japanese scientific and technological projects," the press service of deputy prime minister said following a meeting of Golodets with Japanese Minister of Education, Culture, Sports, Science and Technology Hirokazu Matsuno. Golodets and Matsuno stressed that these documents should be prepared for signing at the Third Eastern Economic Forum in September in Vladivostok. Golodets and Matsuno also discussed the cultural program for the forum, as well as the Russian Seasons, opened on June 4 in Tokyo. Japan became the first country to host this large-scale event. Golodets expressed her special gratitude to the Japanese side for the highest level of reception of Russian performing artists.